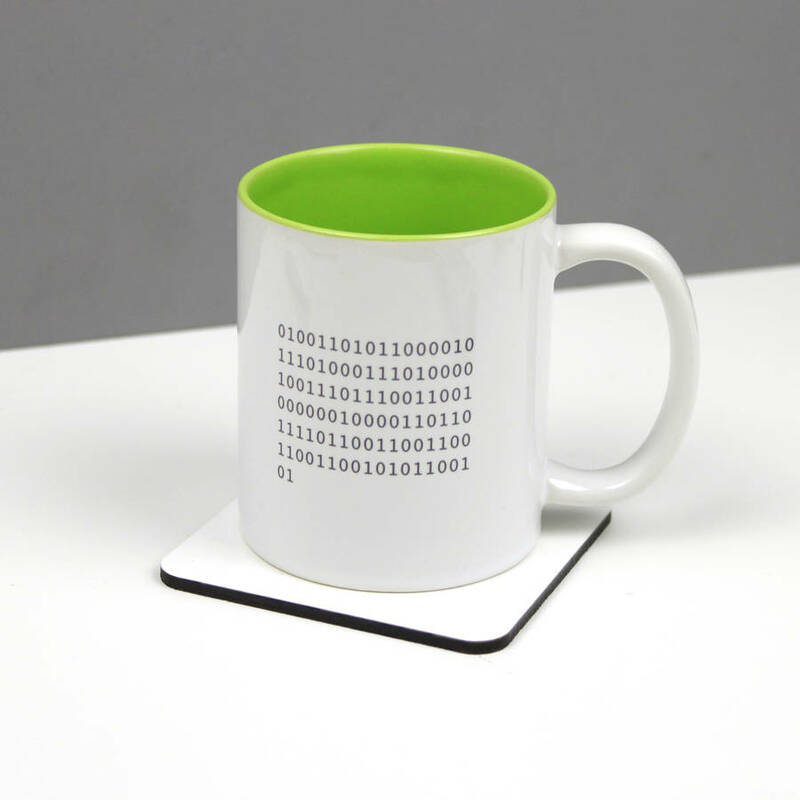 Stand out from the crowd with a personalised binary code mug. Personalise the mug by adding your own message. 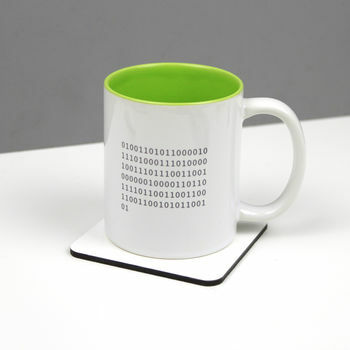 We will translate this in to binary code and print it on the mug. A high quality 11oz mug with a green interior or white. The mug is dishwasher safe, though we recommend hand washing to keep the mug looking its best. Please note, the message will be printed on both sides of the mug. You can select from a white mug with a green inner (shown on the photos) or a plain white mug (the same mug, but with a white inner). Please make your choice from the options when ordering.